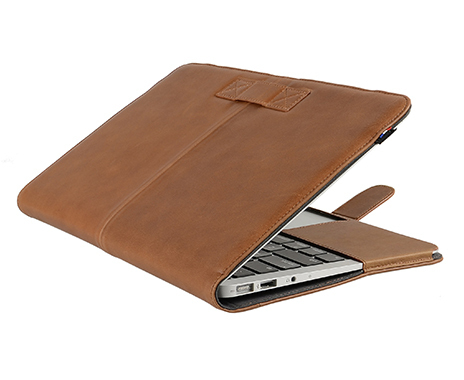 The Decoded MacBook Pro Retina Slim Cover (for 13” and 15”) is made entirely from the highest quality leather. Both the front and backside of this cover are padded, adding an additional layer of protection. We designed it to feel solid and protective without adding much mass or weight to your macbook. The inside is covered with our surface which protects your MacBook Pro from dents and scratches. A natural product, leather will become richer as it ages, adding a unique vintage look and feel over time. At Decoded, it is our passion and philosophy that great design needs no compromise. As a result your MacBook Pro Retina Slim Cover looks nothing short of spectacular. We take the utmost care to make sure our products combine seamlessly with your Macbook Pro, making sure the difference in weight, feel and usage is minimal.